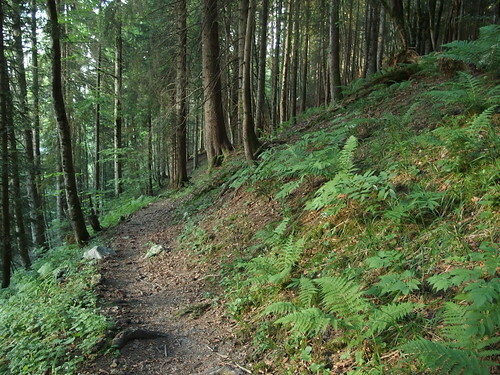 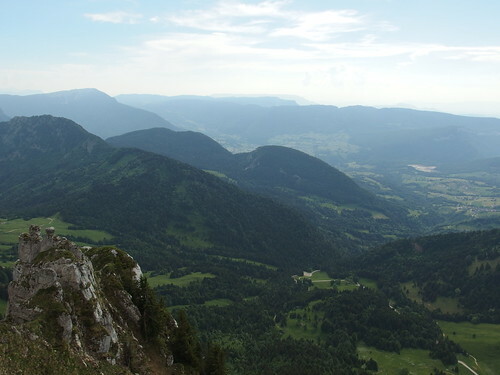 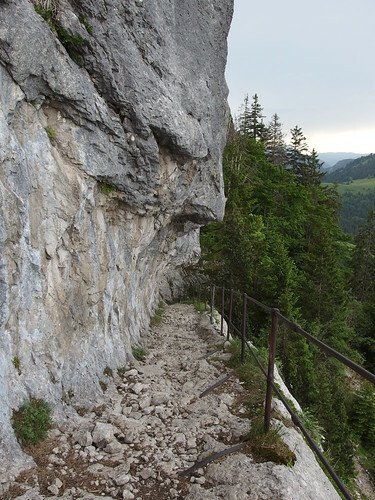 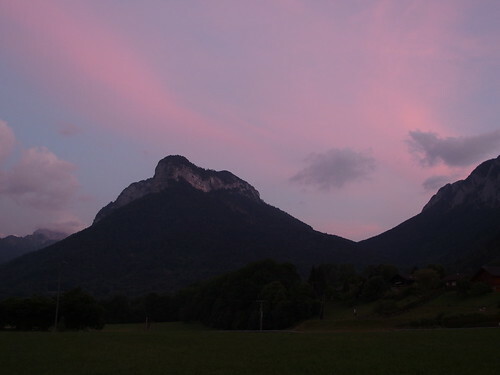 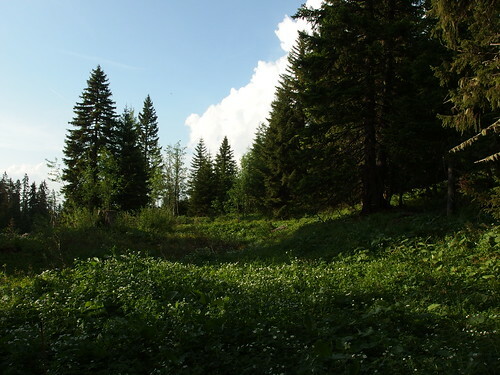 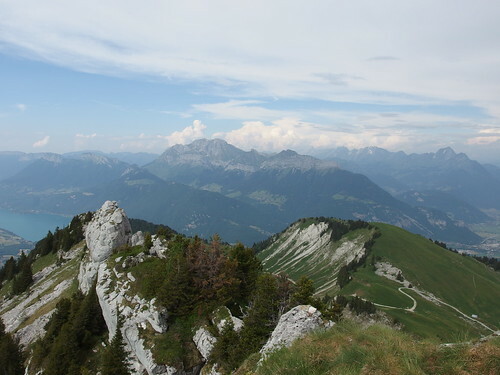 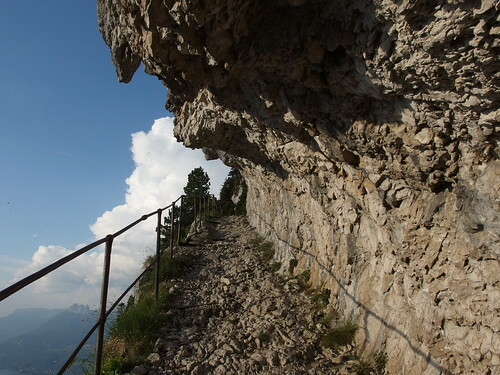 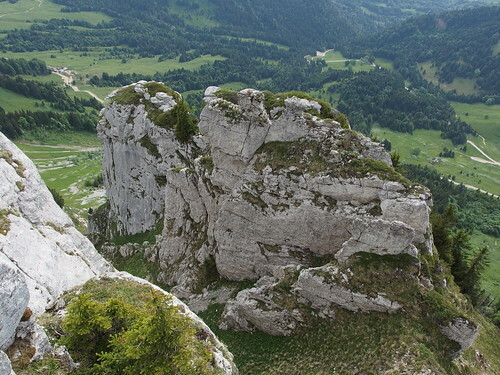 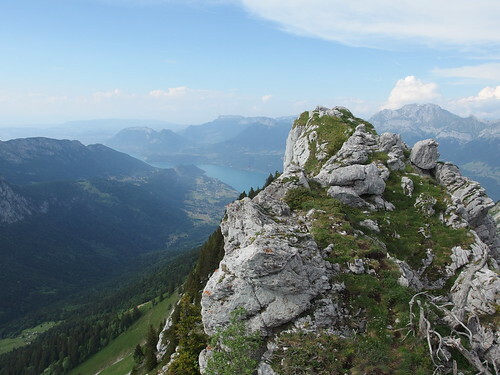 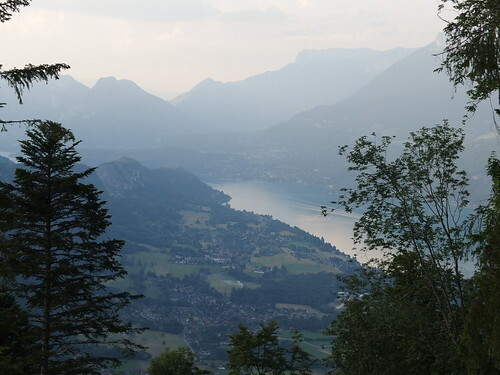 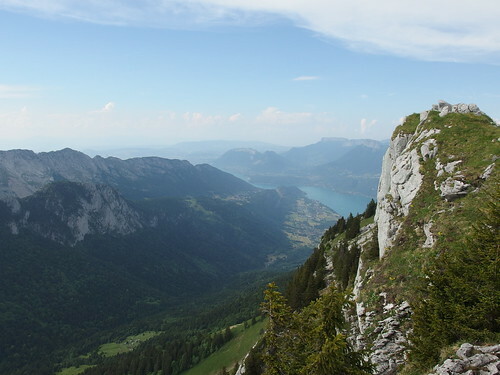 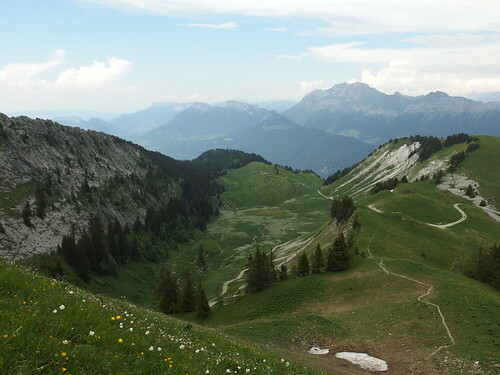 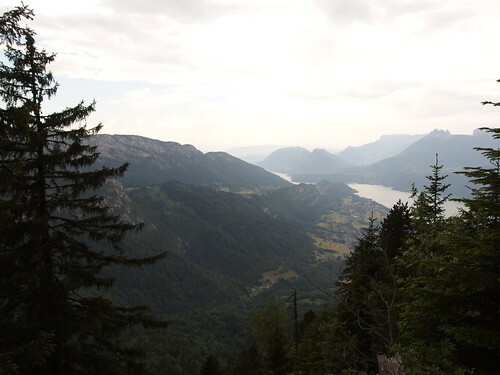 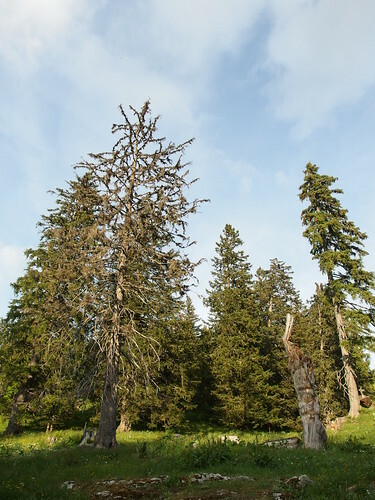 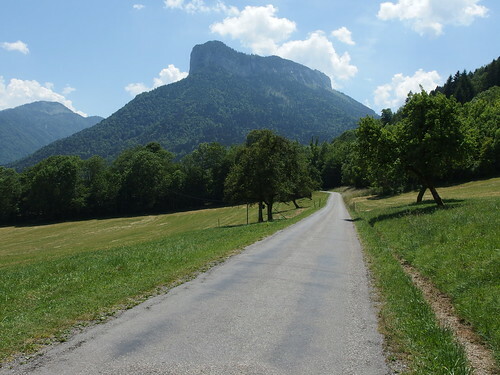 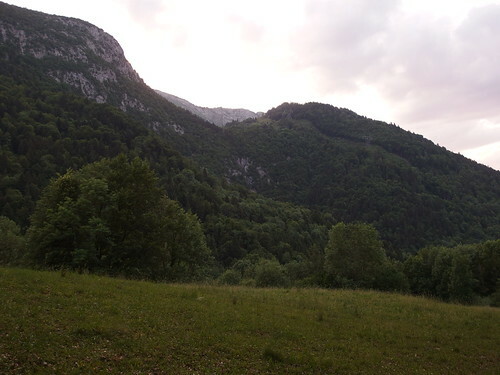 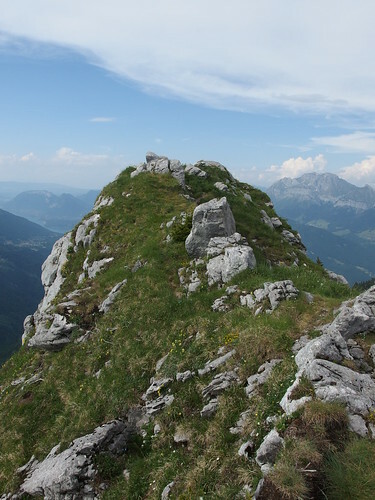 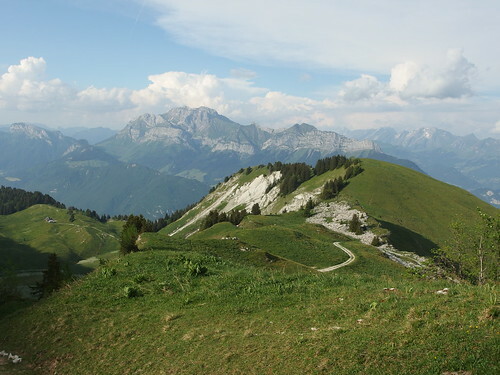 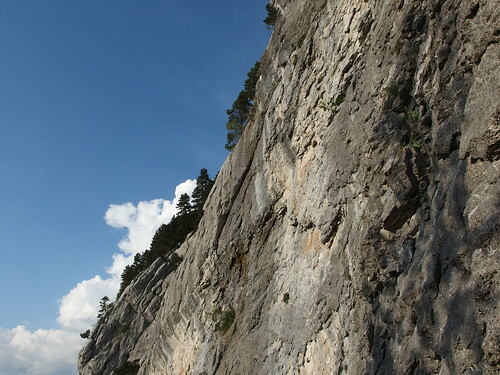 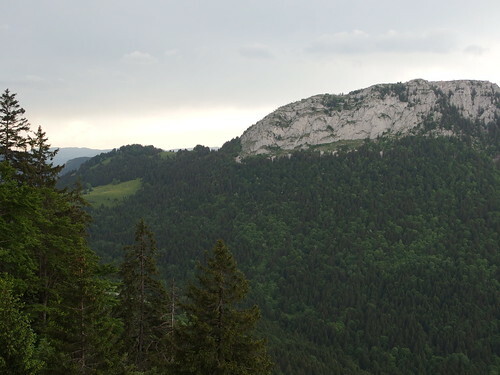 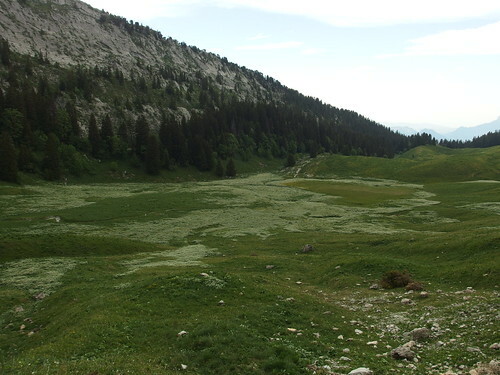 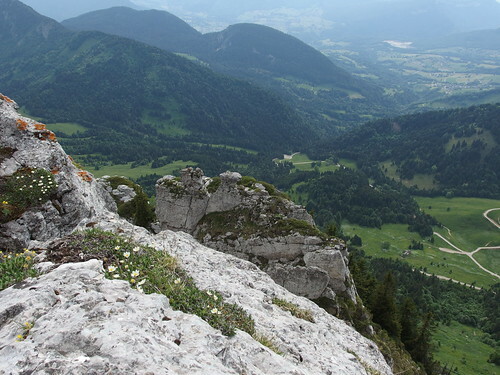 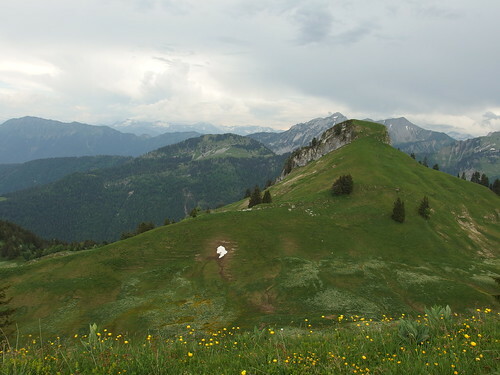 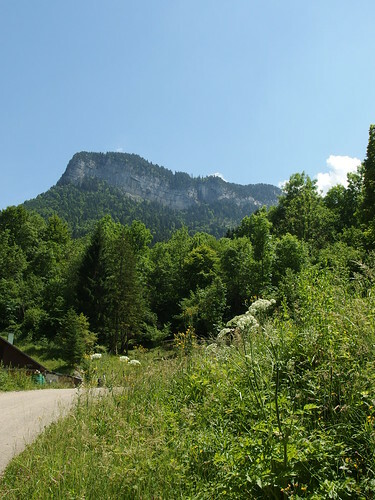 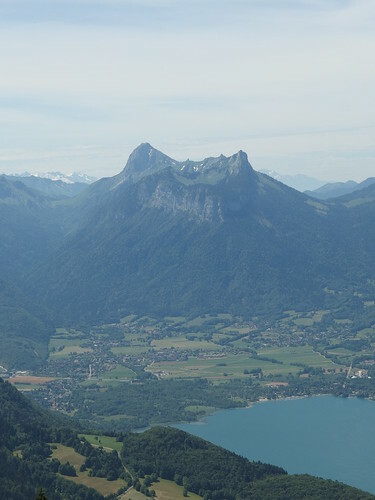 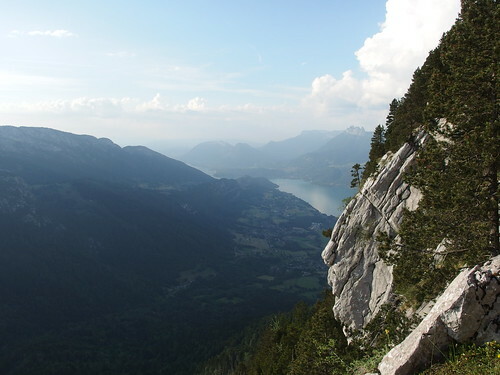 Pointe de Banc Plat is a peak located at the south-west of Lake Annecy in the Bauges Massif. 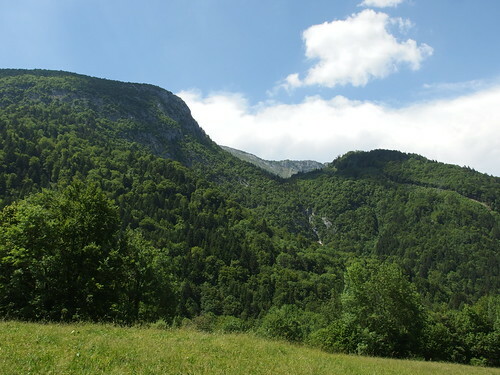 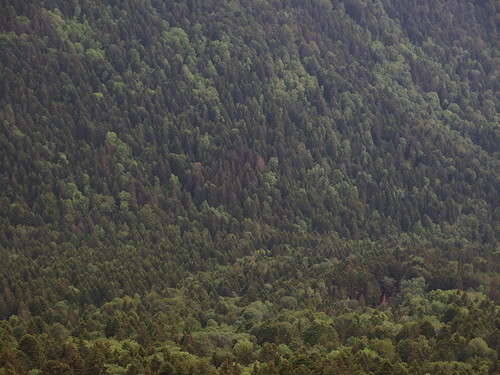 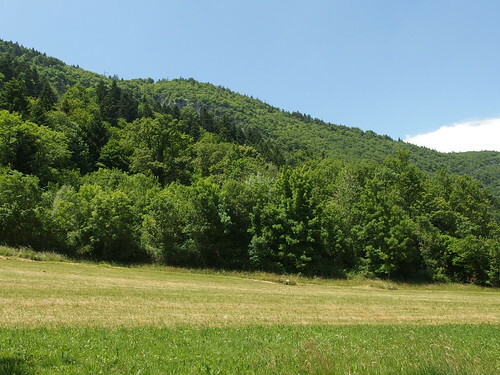 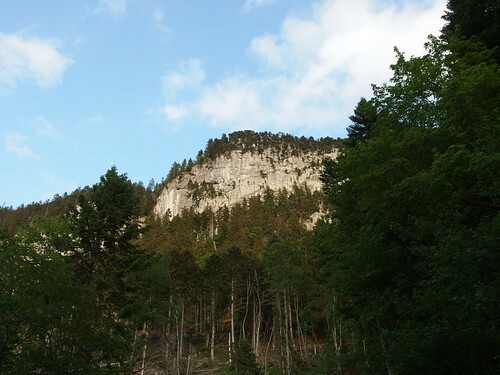 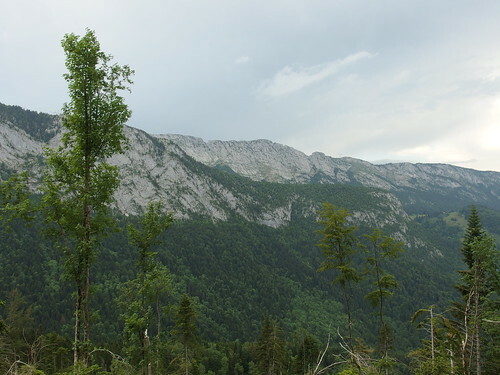 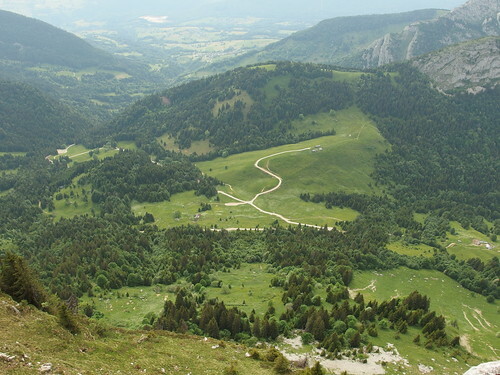 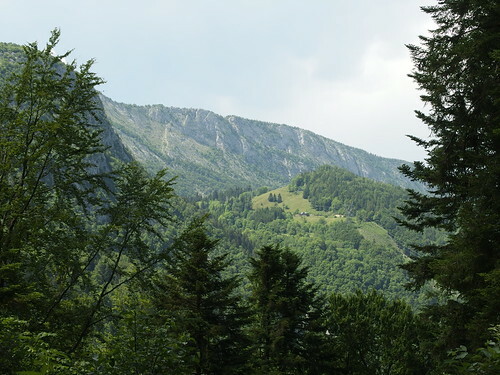 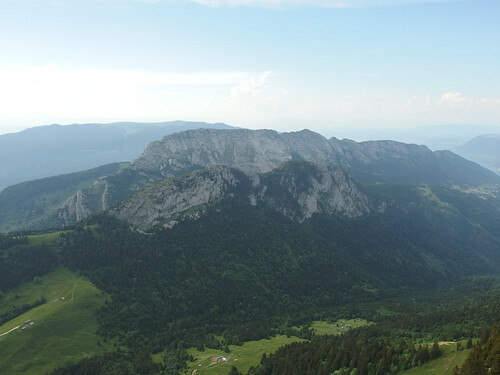 The area around it is known as Montagne du Charbon. 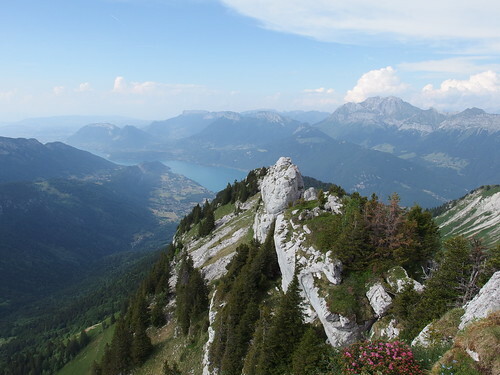 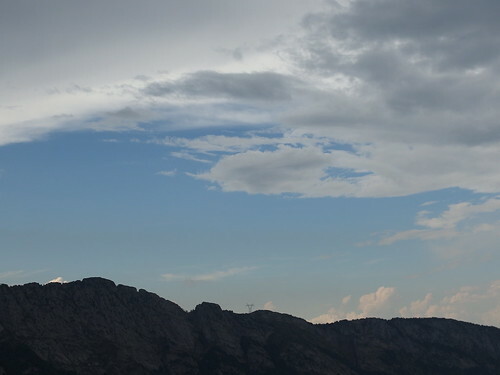 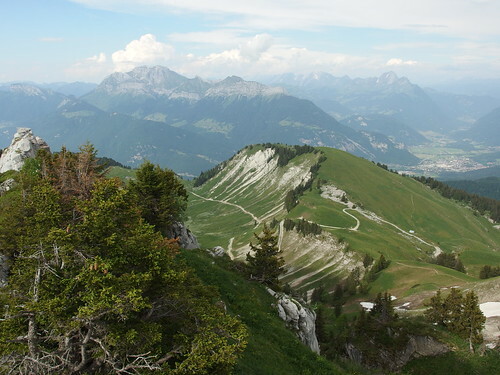 The summit has a great view on the Bauges and the mountains around the lake. 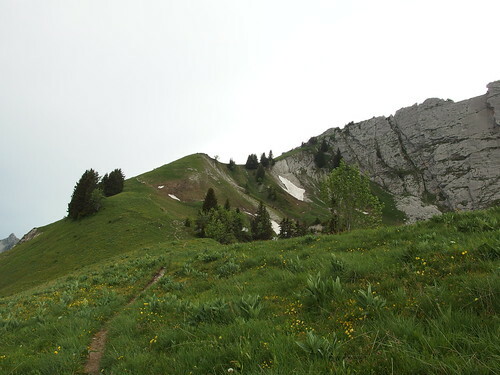 This page has the itinerary that I tried to follow: After the summit, instead of taking the ridge to Dent des Portes, I actually went back on the same path as the one I took on the way up. 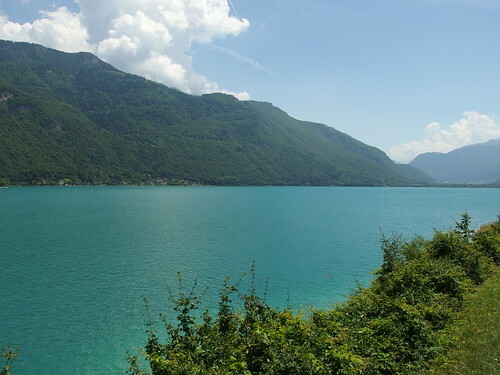 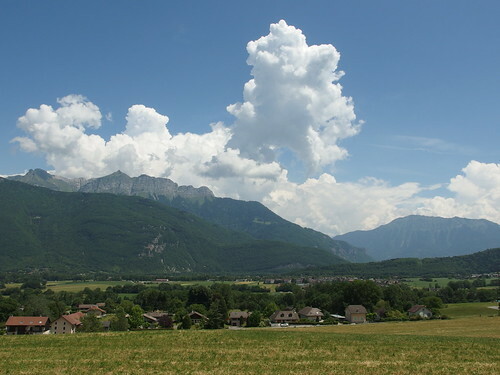 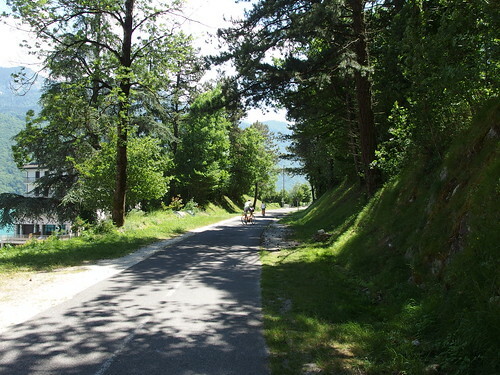 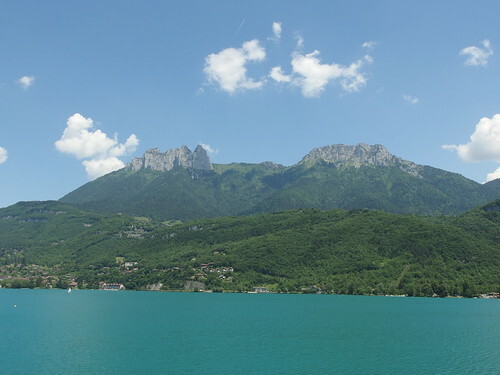 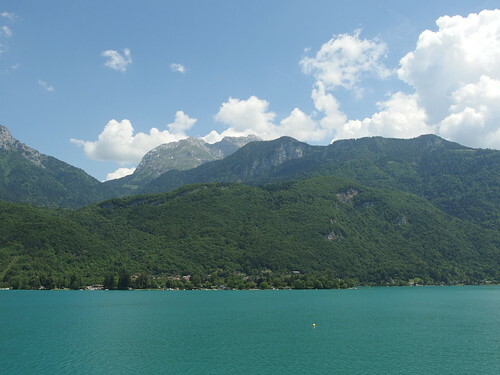 Using the Voie Verte along the lake, I first went by bike from Annecy to Montgellaz, in the village of Lathuile. 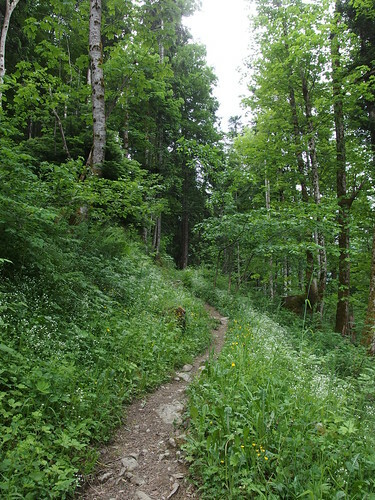 Then I took a forest road to the start of the trail proper. 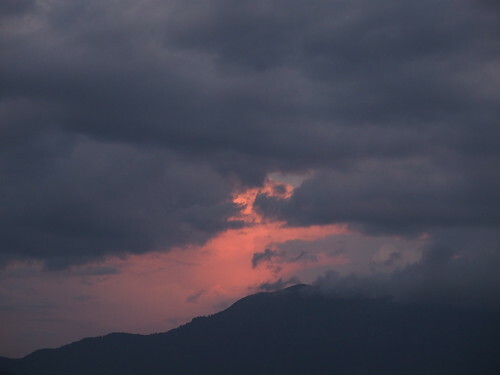 It had started to drizzle at that point. 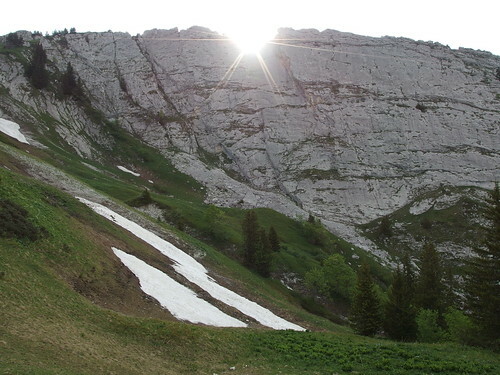 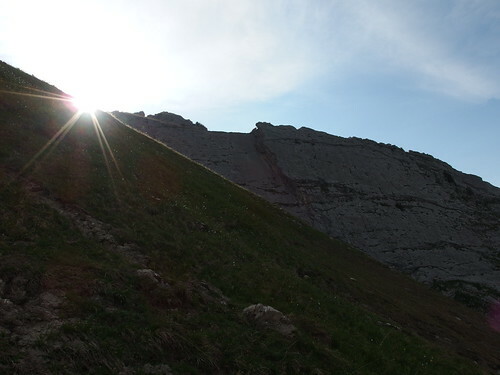 After a while, I reached the Refuge de la Combe and its pastures then continued to the summit, just as the sun made its come back. 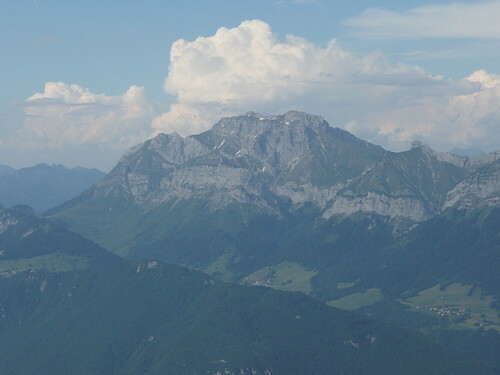 The view at the summit was magnificent. 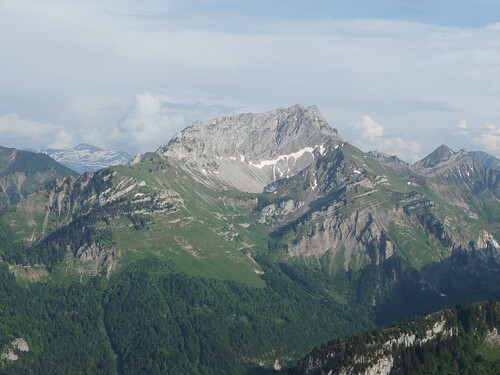 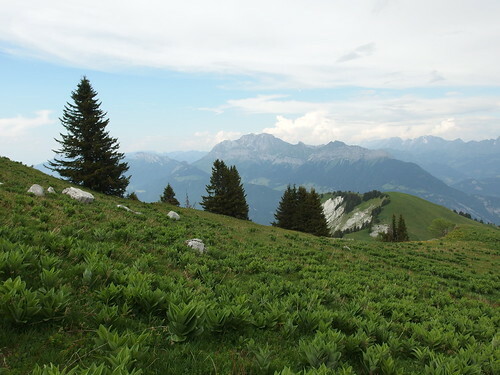 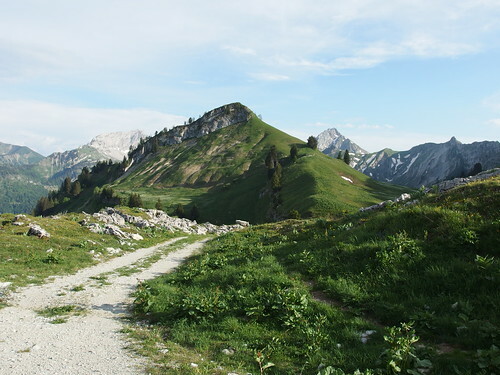 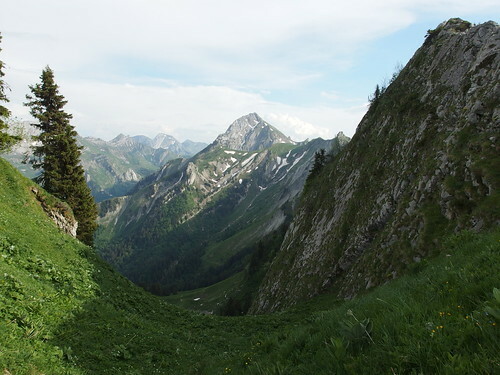 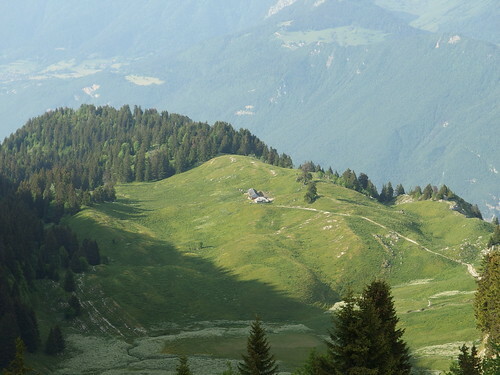 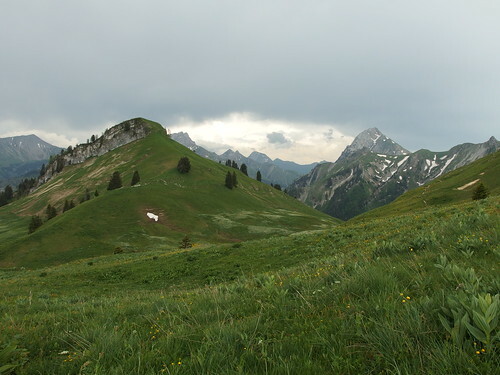 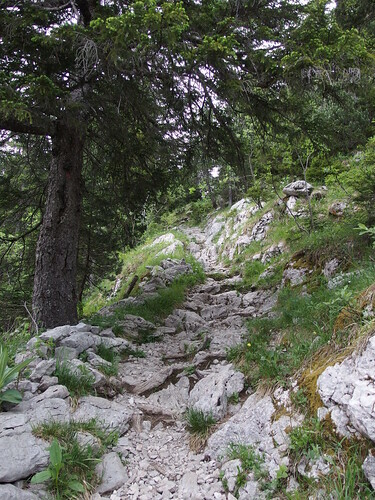 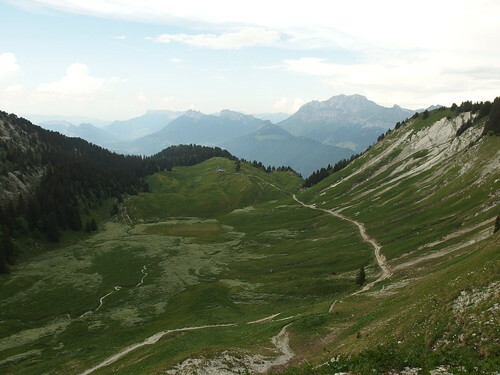 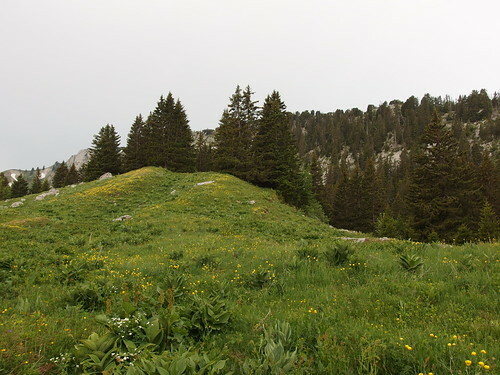 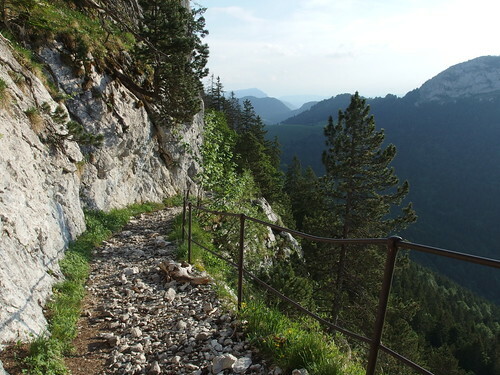 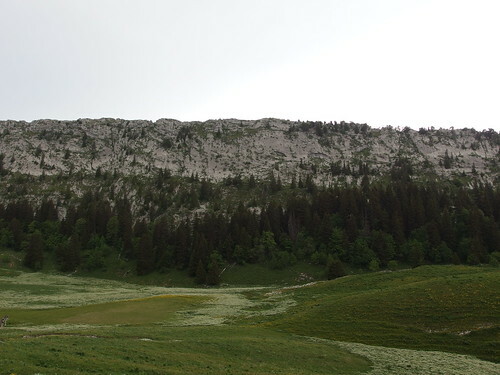 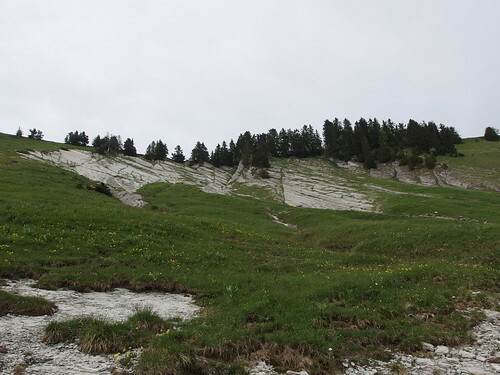 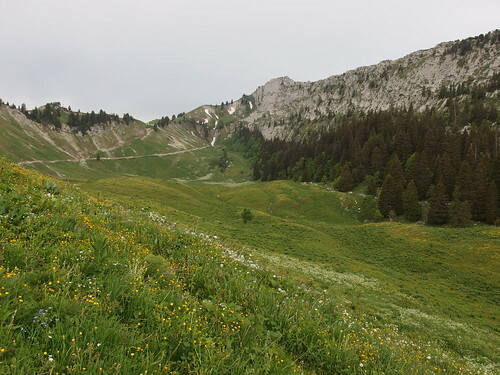 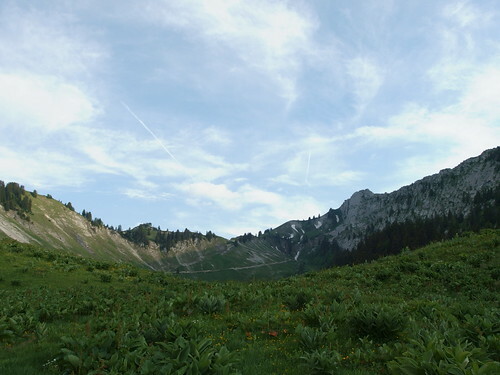 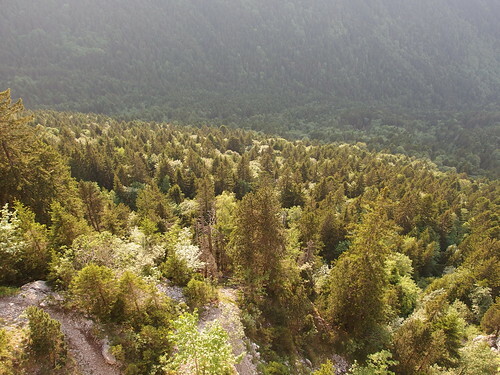 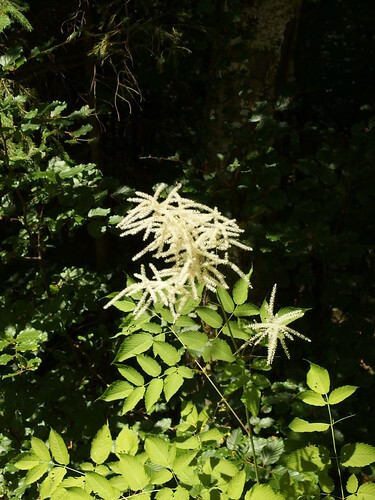 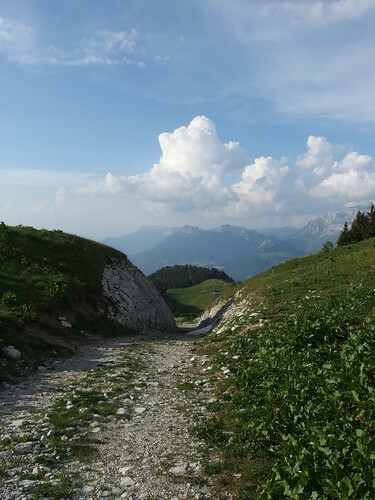 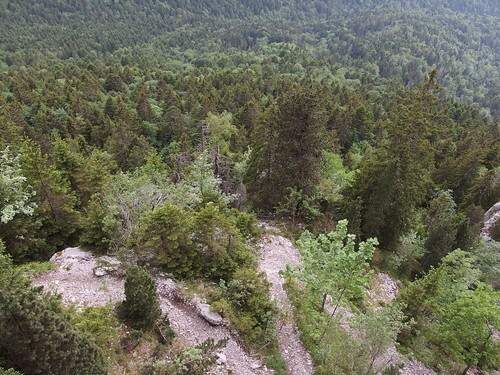 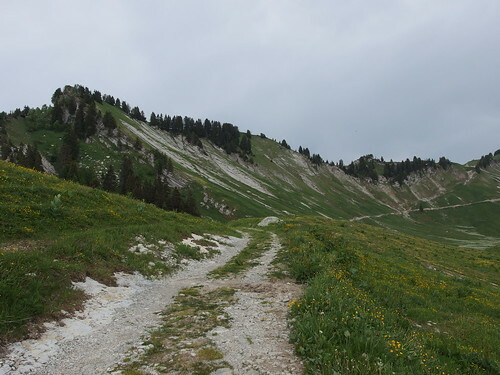 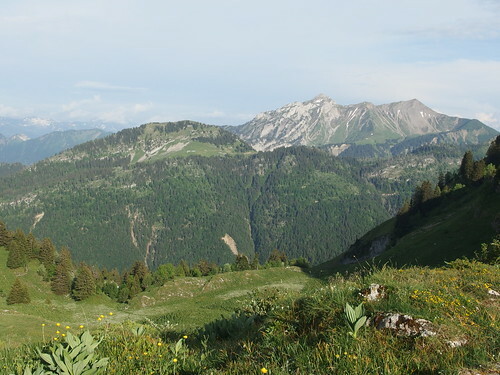 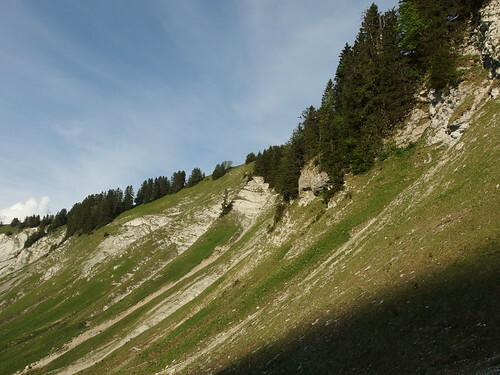 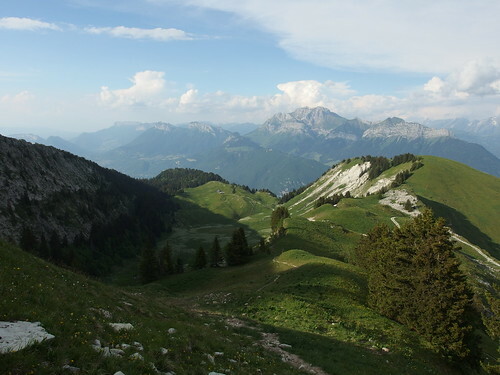 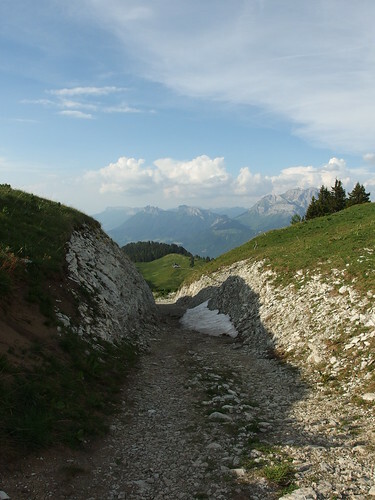 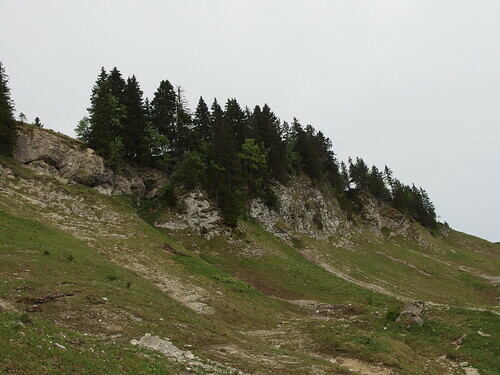 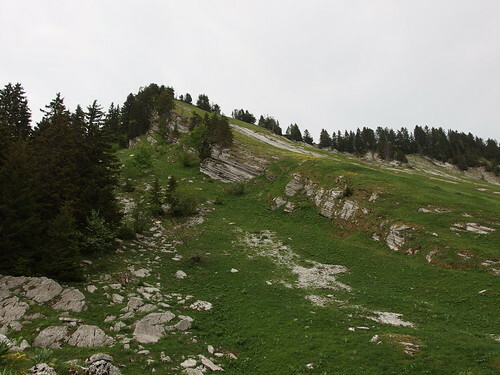 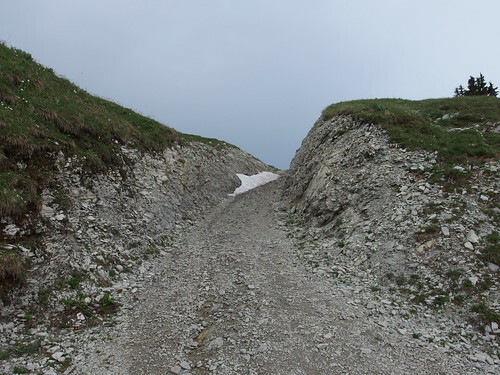 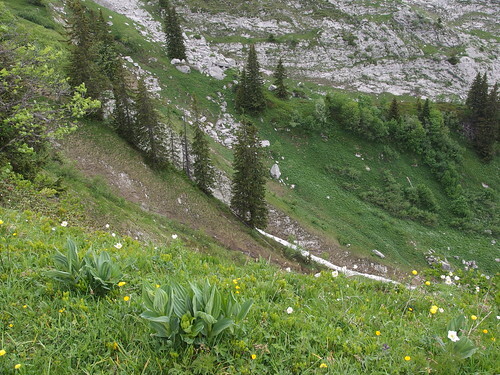 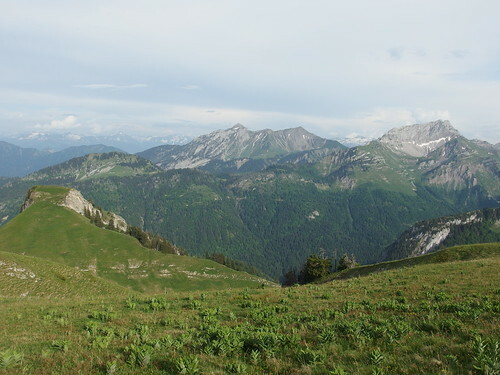 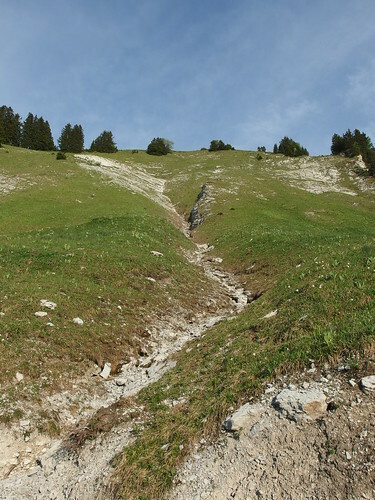 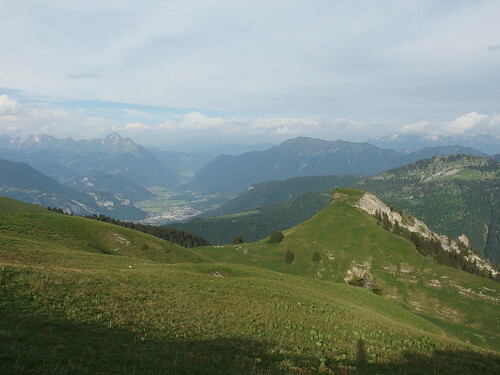 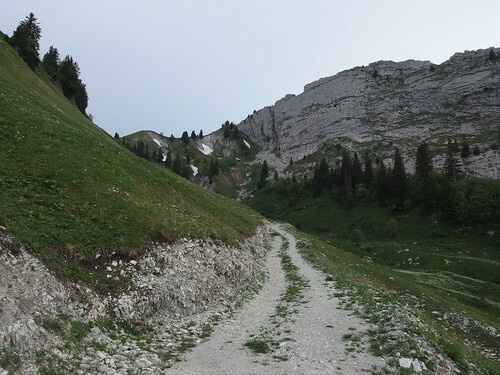 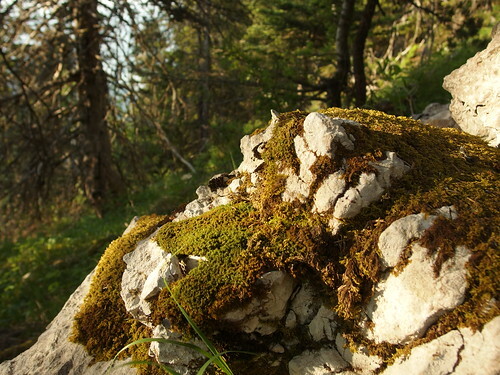 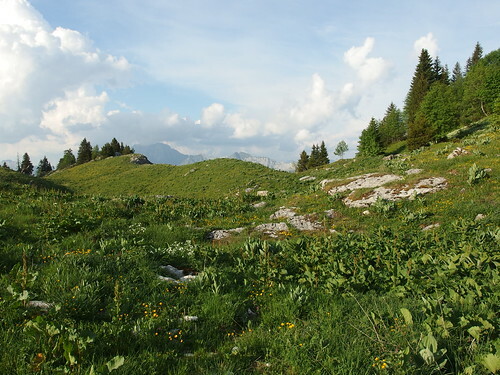 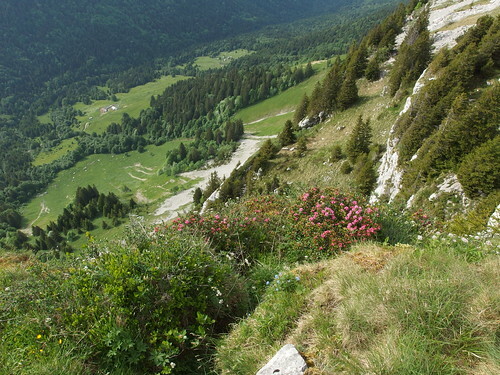 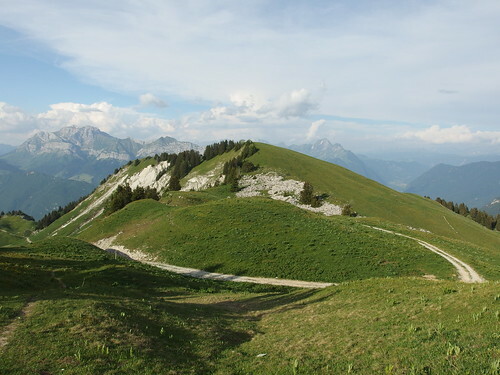 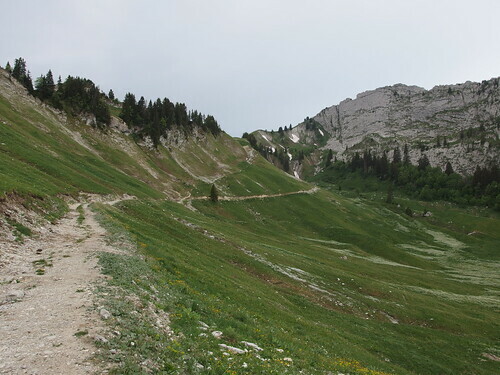 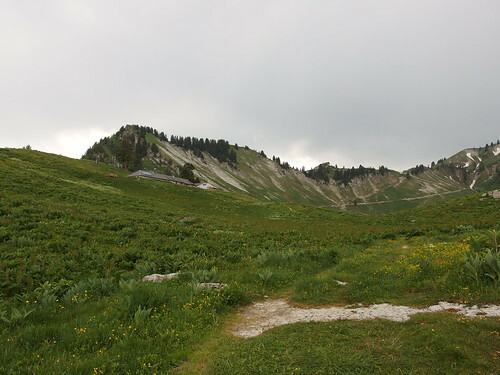 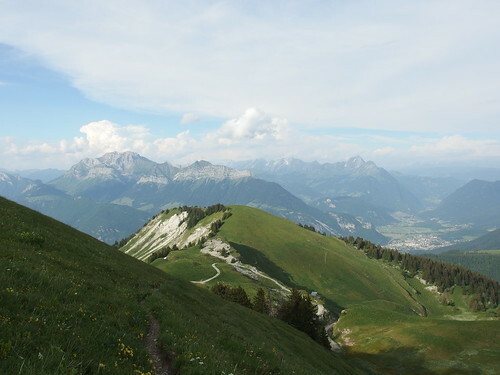 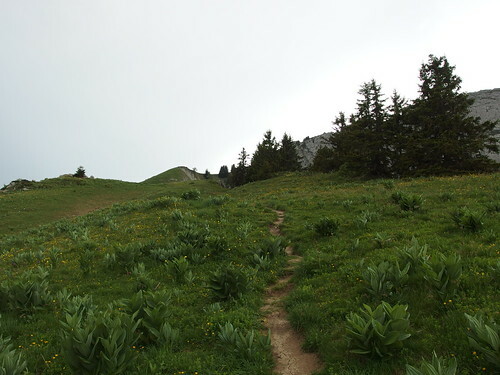 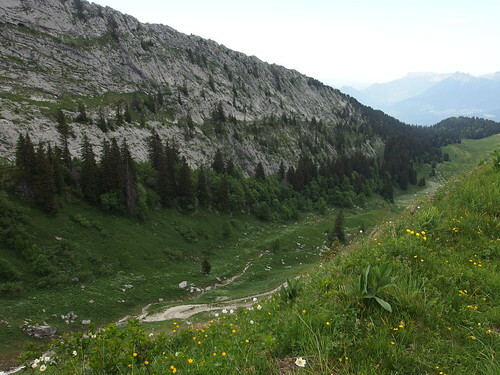 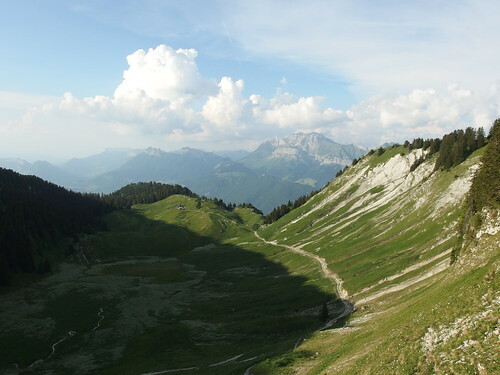 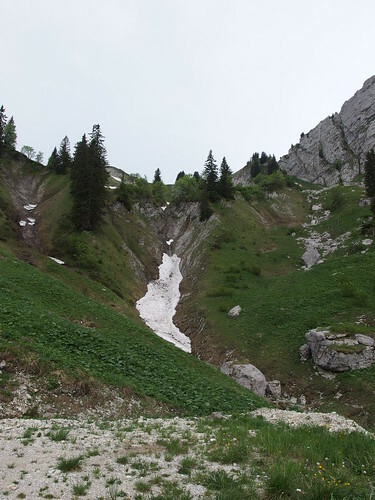 I then went to check out the ridge path to Dent des Portes like on the map I was following, but it was getting late and it didn’t look very safe, so I simply went back down to Montgellaz using the same path. 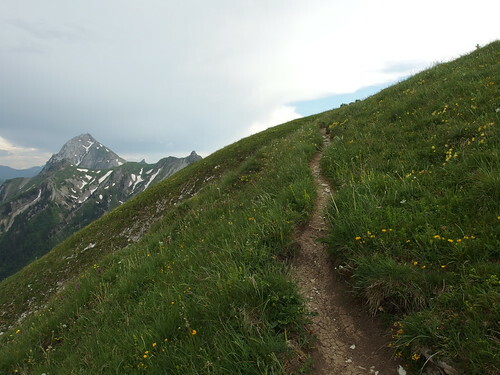 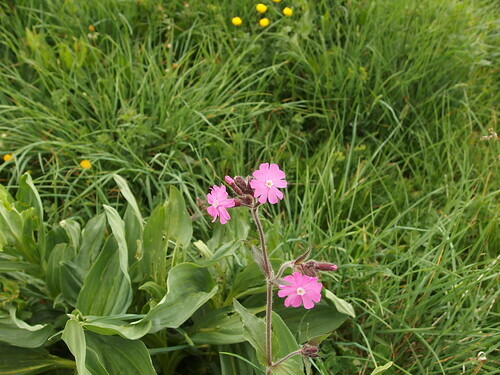 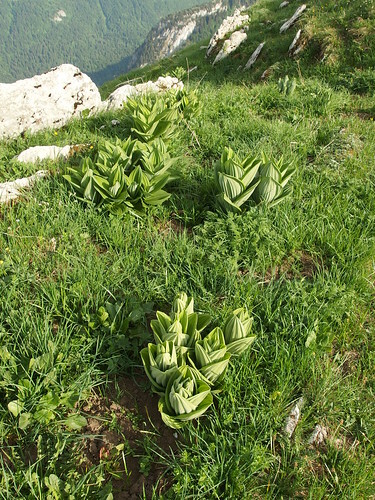 Above, on the Voie Verte, on the way to the trailhead in Lathuile. 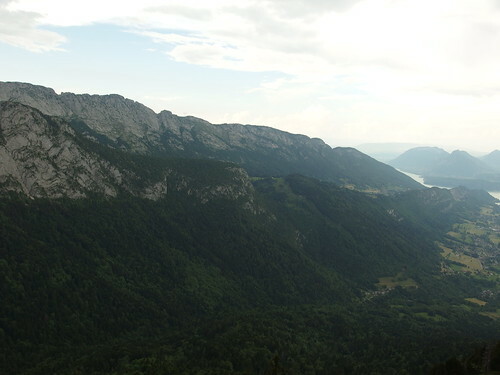 Above, Dents de Lanfon and Lanfonnet. 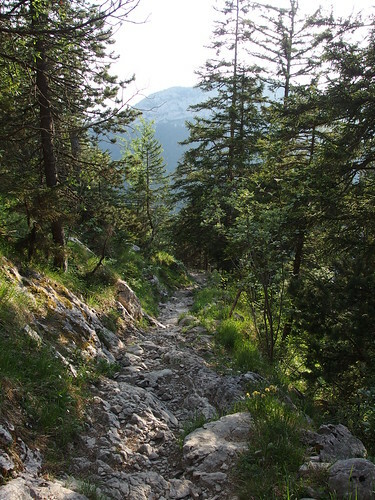 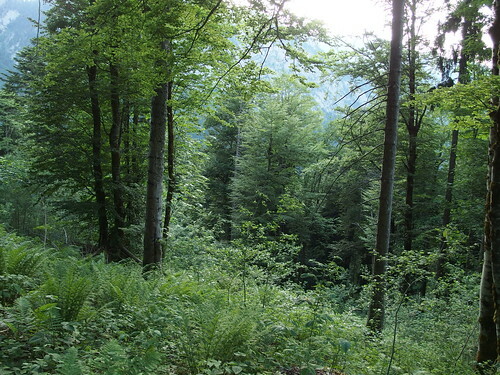 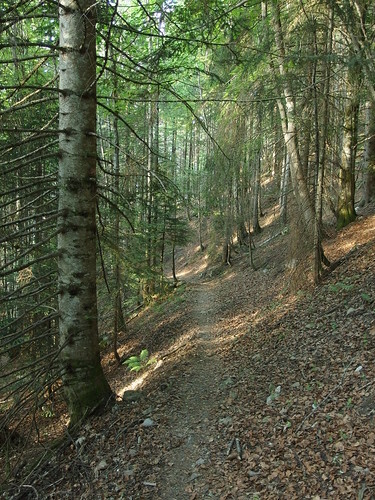 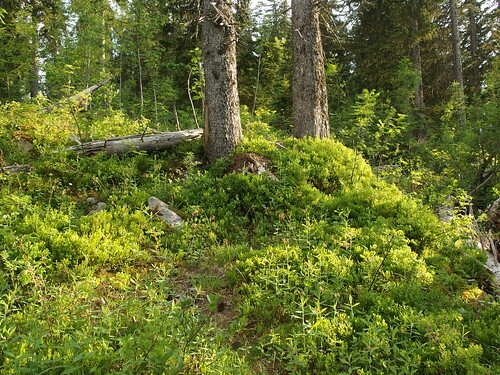 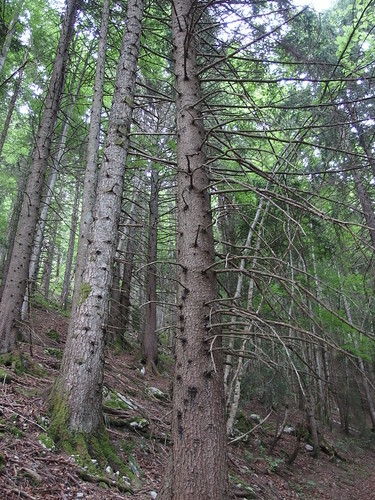 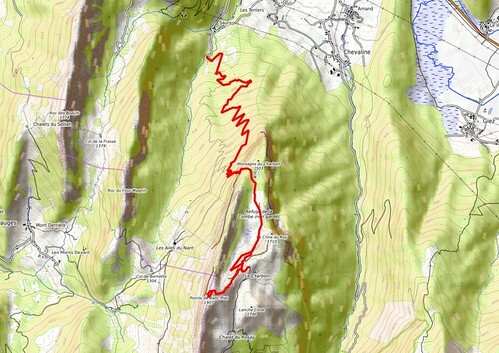 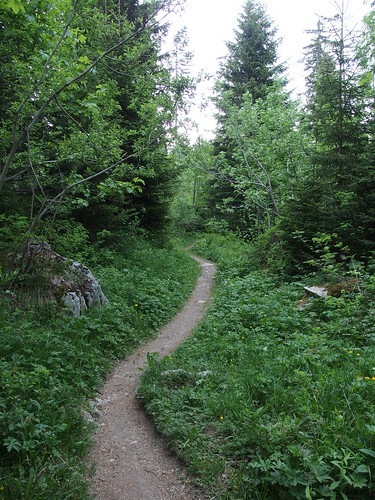 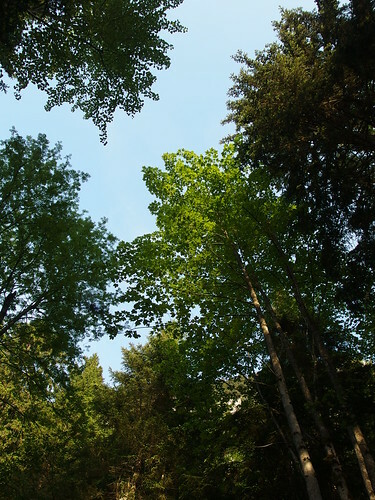 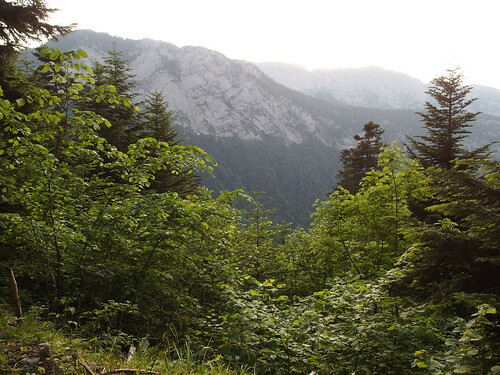 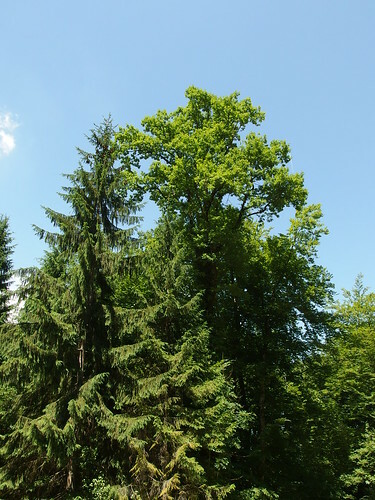 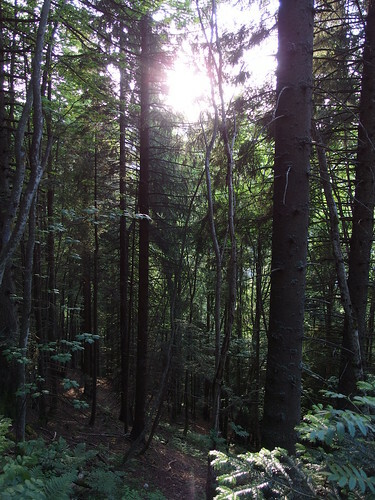 Above, the first part of the hike was along a forest road. 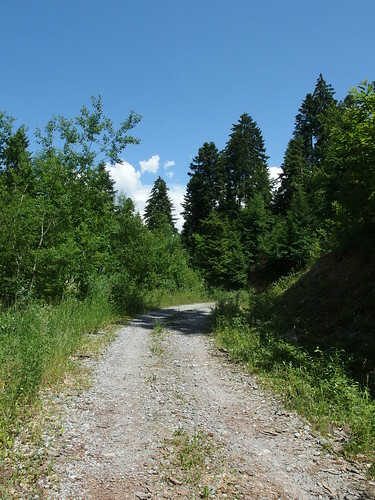 There is also a trail in the forest that starts not long after the start of the road but I missed it (not sure how because it is actually well marked). 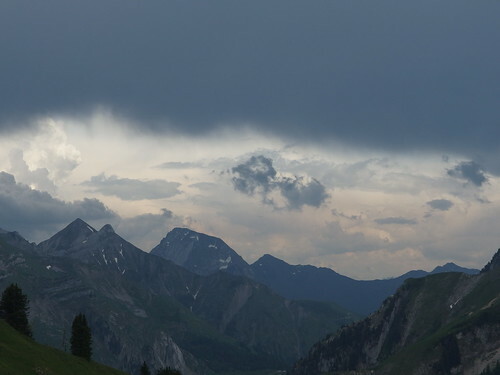 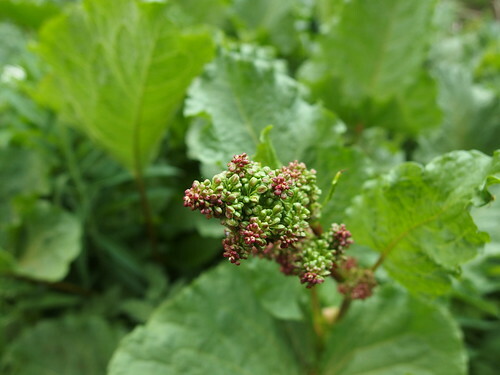 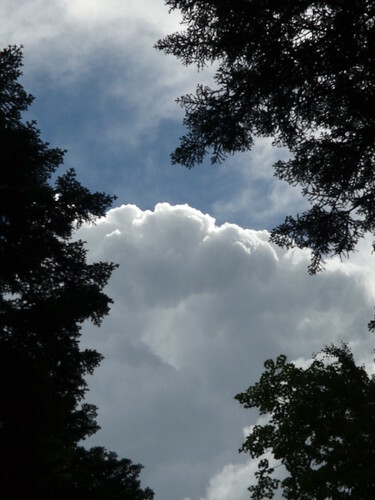 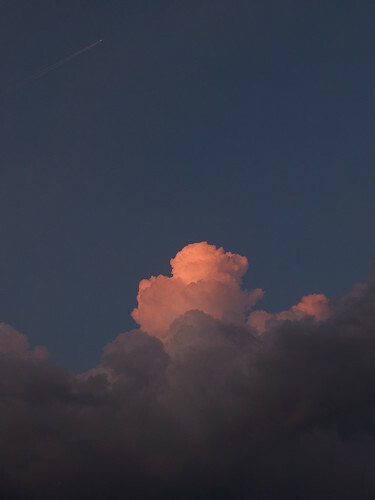 Above, the weather started to sour with a bit of rain. 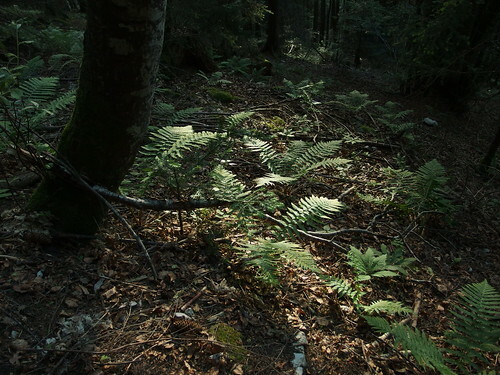 I decided to forge on. 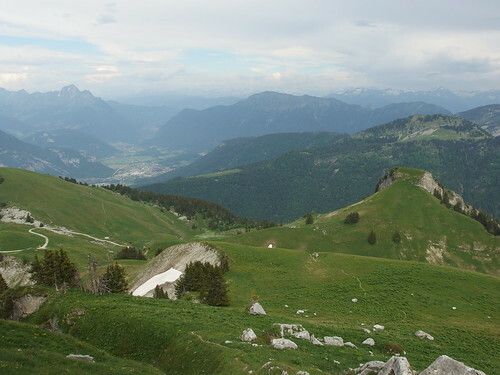 Above, Taillefer, Roc des Boeufs and Montagne d’Entrevernes. 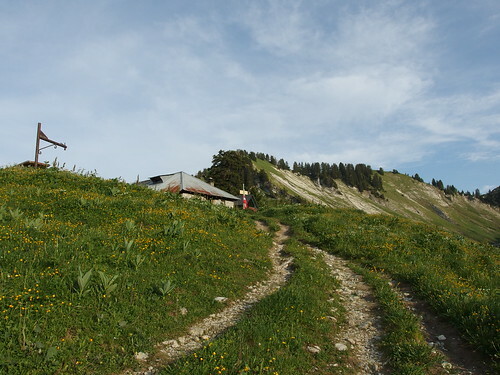 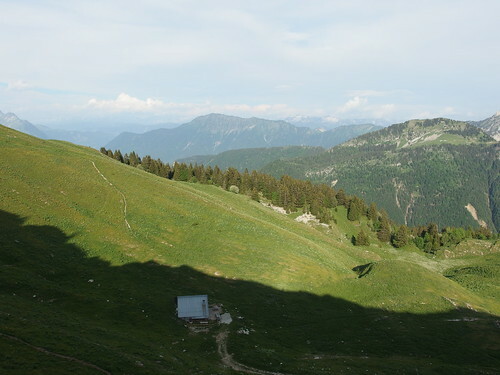 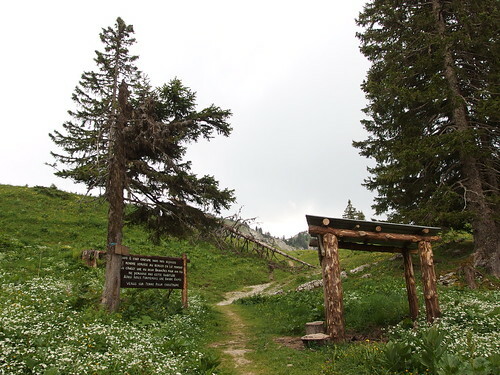 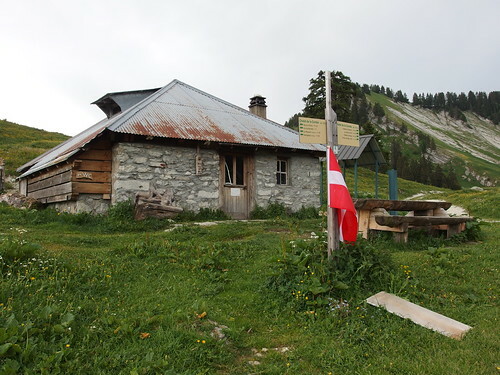 Above, Refuge de La Combe (emergency hut). 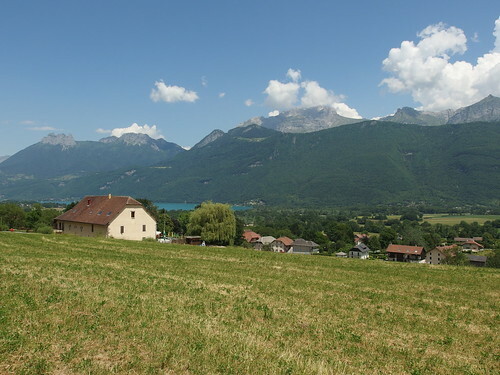 There is another large building (dormitories I suppose) not shown here. 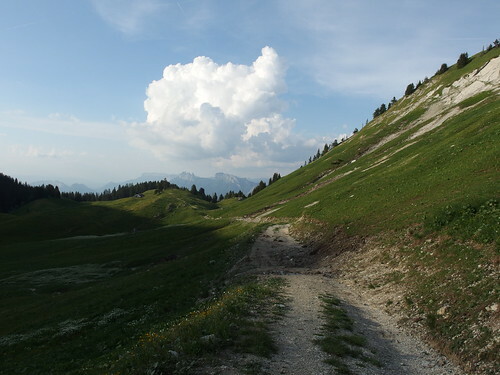 Above, the road is reserved for shepherds and goes through a few of the chalets in the area. 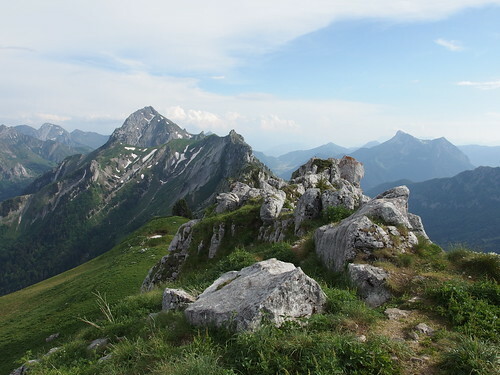 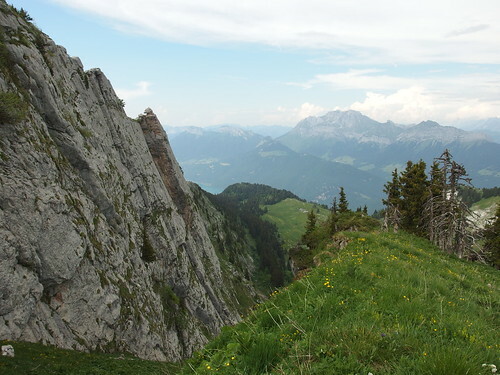 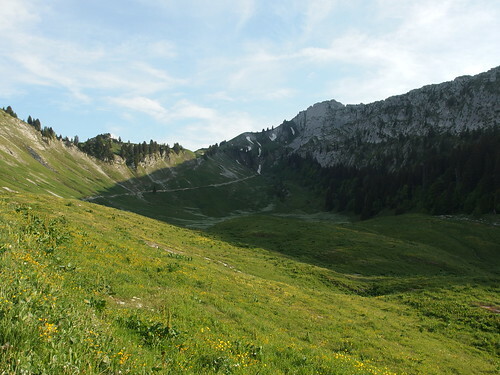 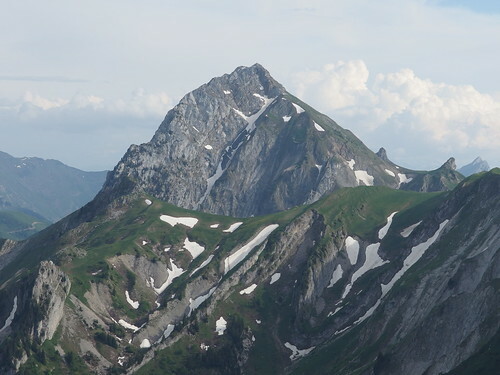 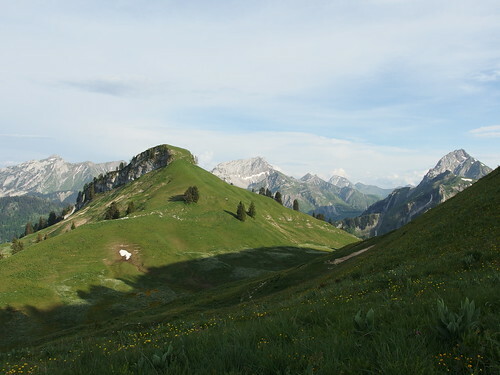 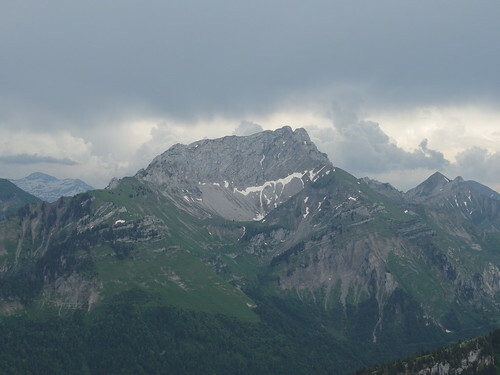 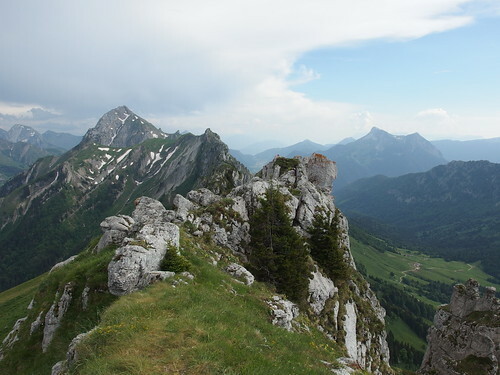 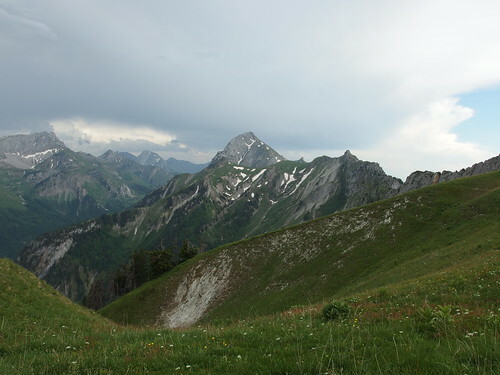 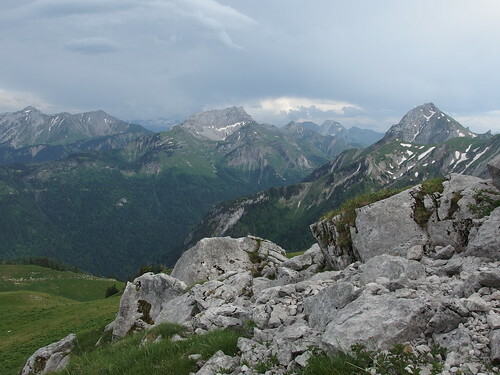 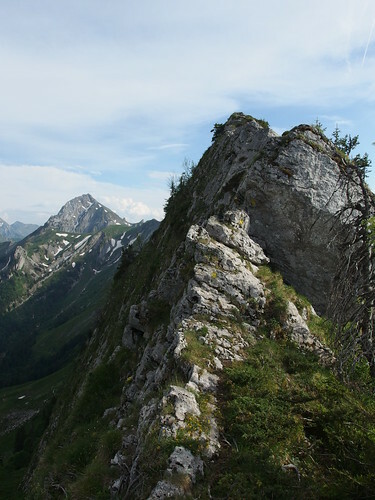 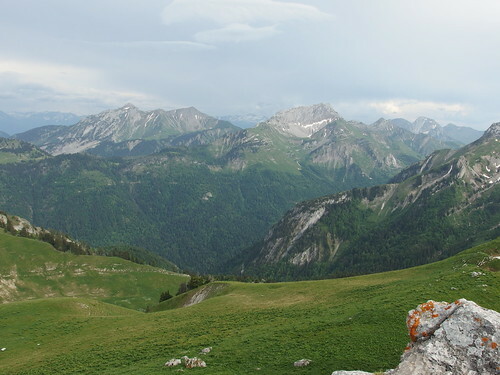 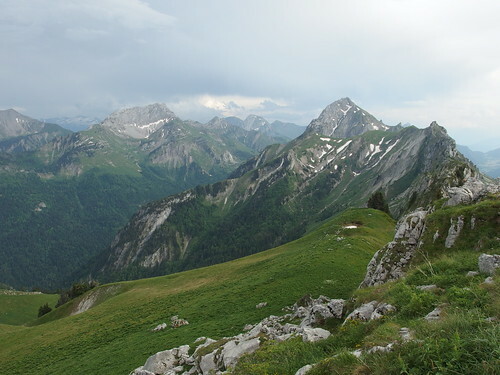 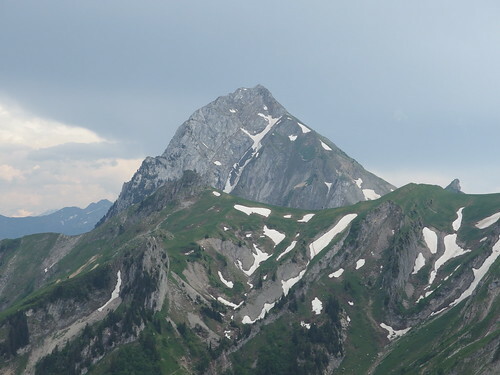 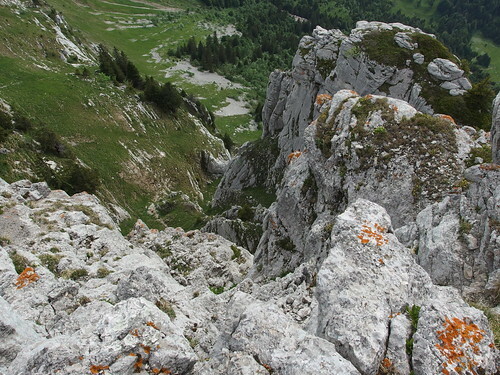 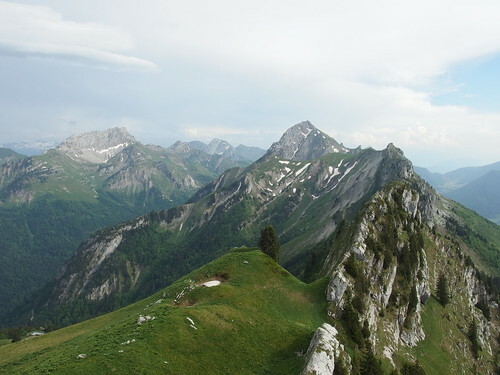 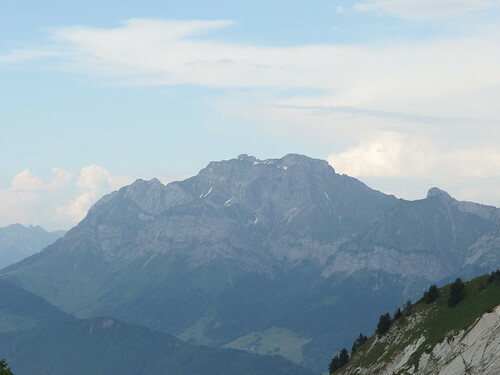 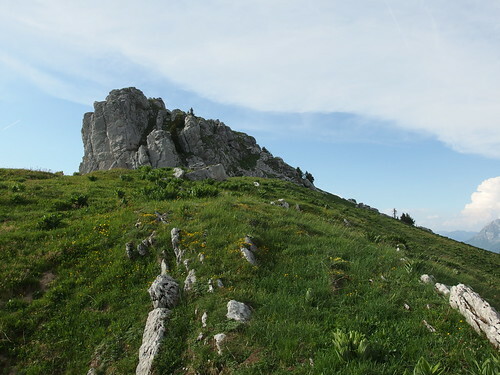 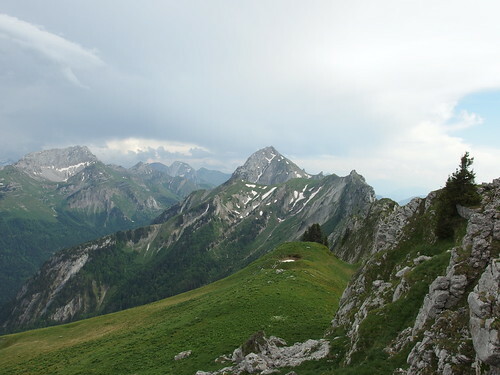 Above, Pointe d’Arcalod, the highest mountain in the Bauges Massif. 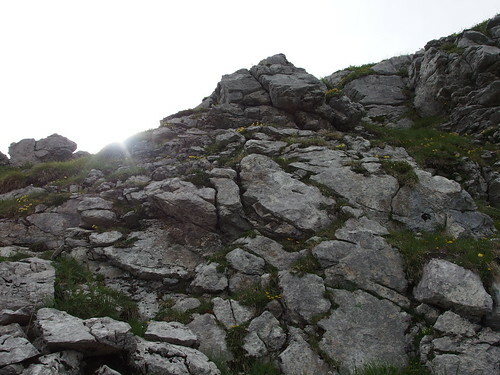 Above, while I was approaching the summit, the sun started to reappear. 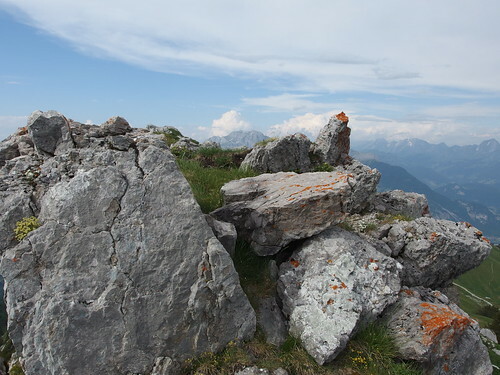 Above, on the ridge near the summit. 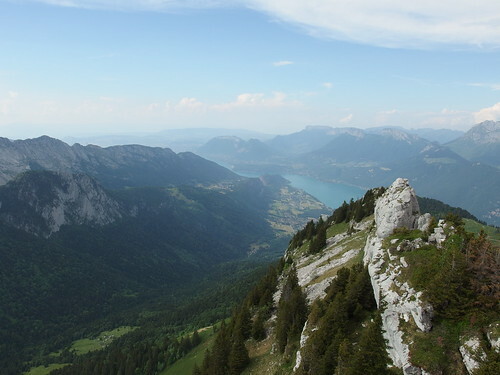 Above, view of Lac d’Annecy at the summit. 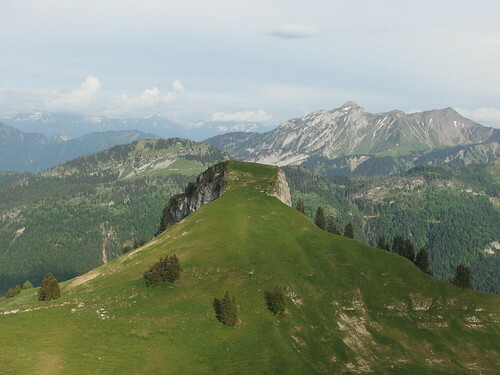 Above, Mont Trélod and Pointe d’Arcalod. 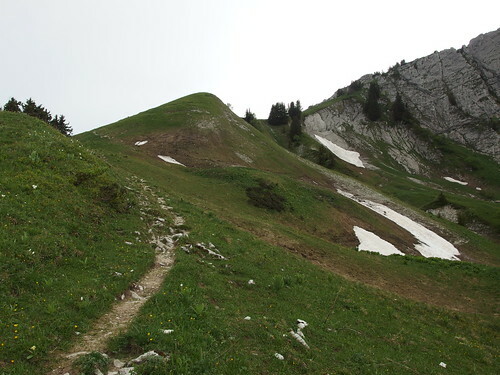 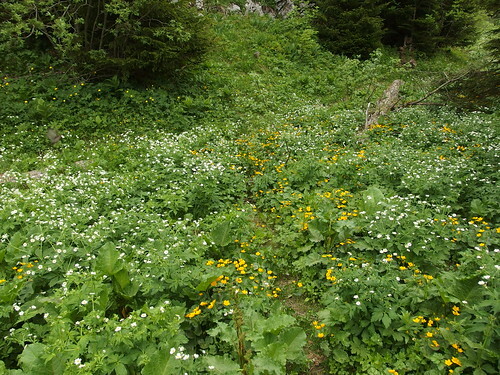 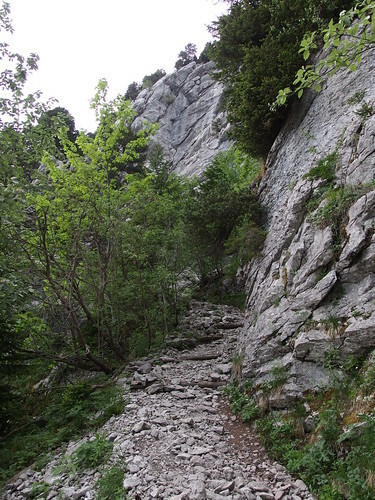 Above, the ridge to Dent des Portes on the way to Mont Trélod can be walked on, although it can be a bit tricky. 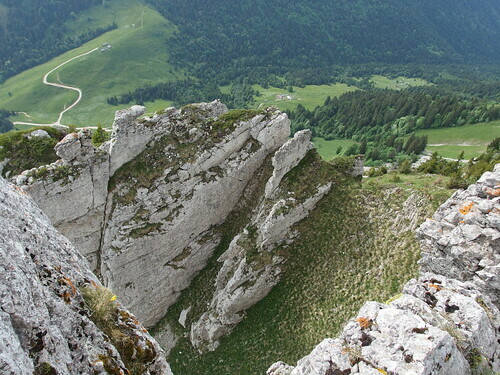 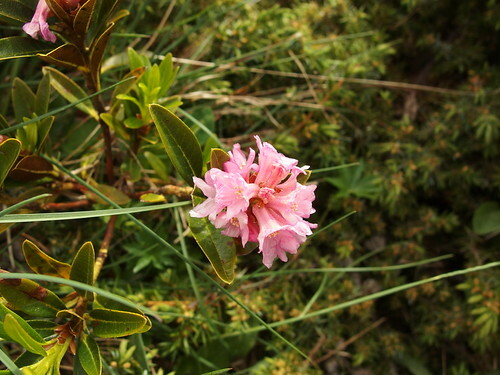 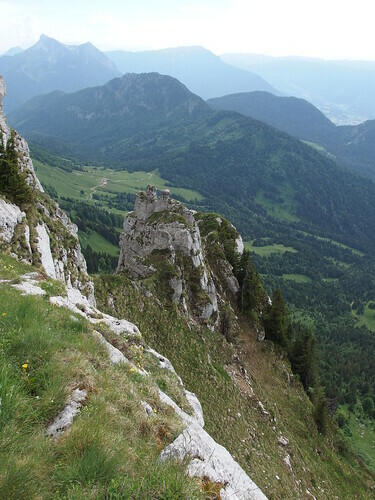 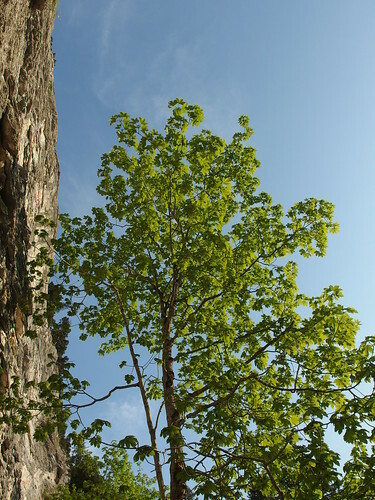 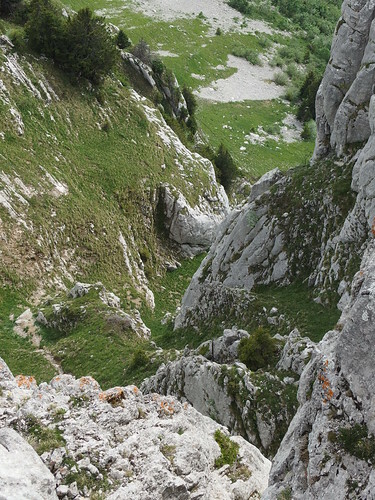 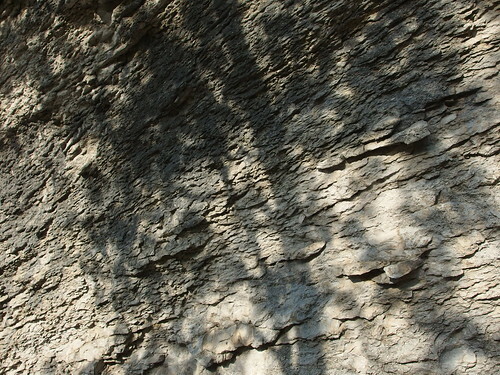 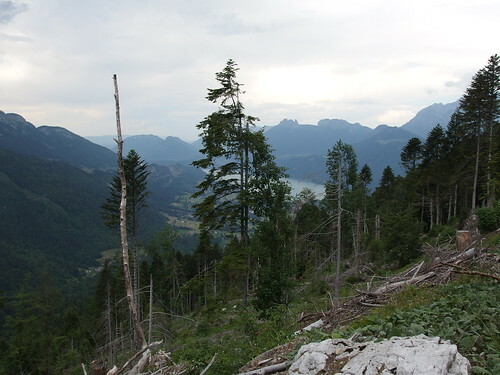 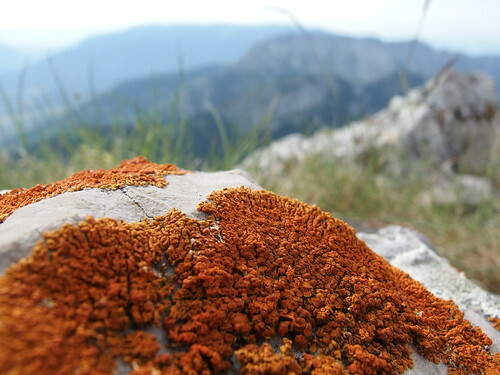 Above, I approached the ridge to Dens des Portes but it looked a bit too precarious for me. 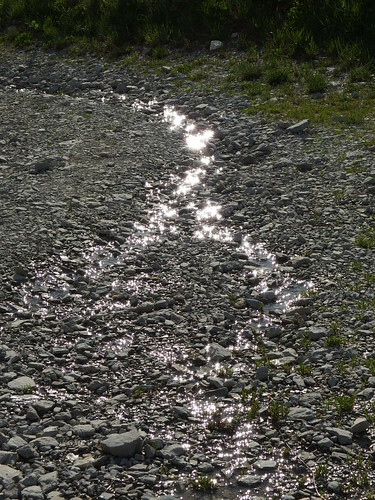 I saw some paint markings however. 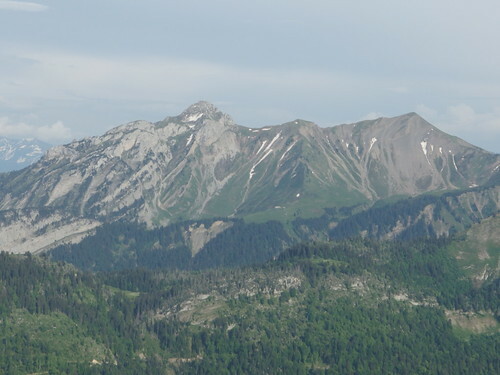 Above, Pointe de la Sambuy and Pointe de Chaurionde. 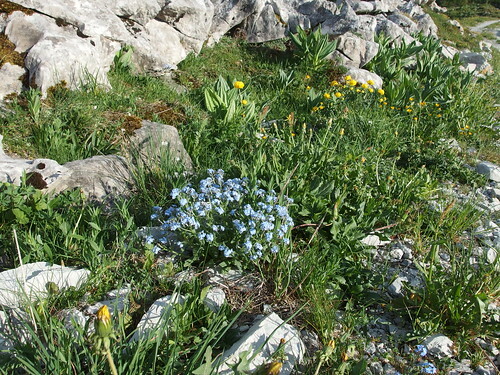 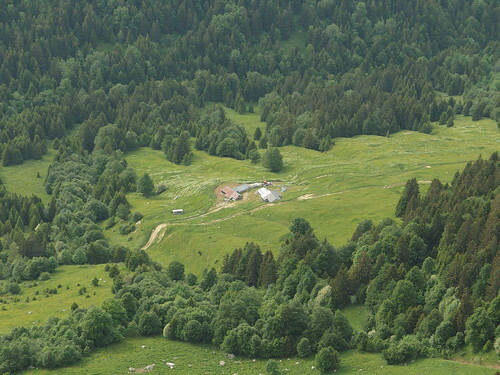 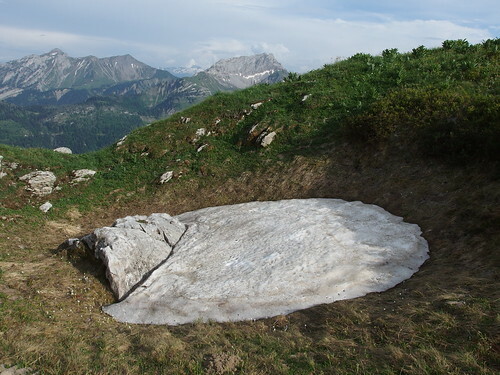 Above, Refuge de la Combe. Above, back at the Refuge. 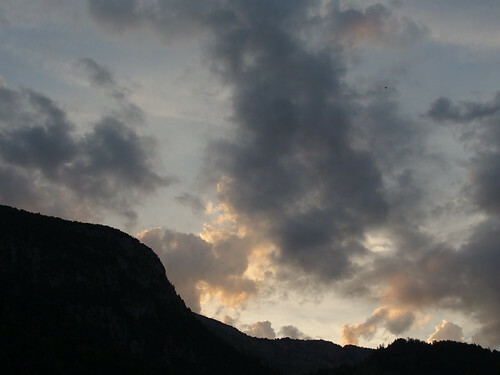 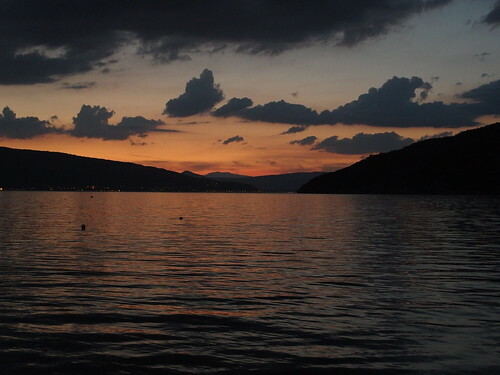 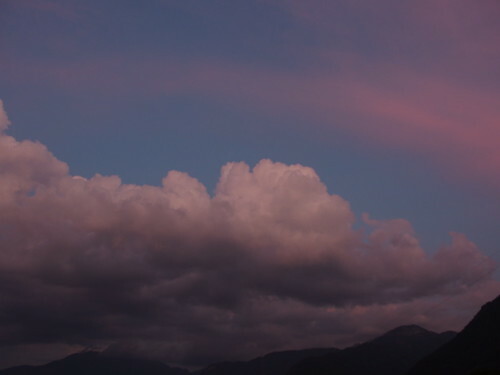 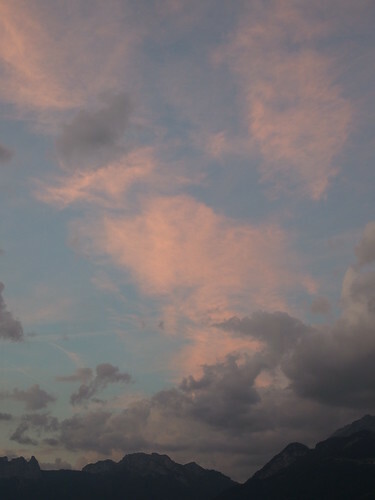 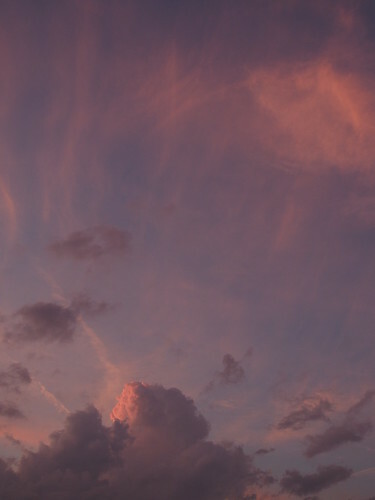 Above, sunset on the lake seen from Duingt. 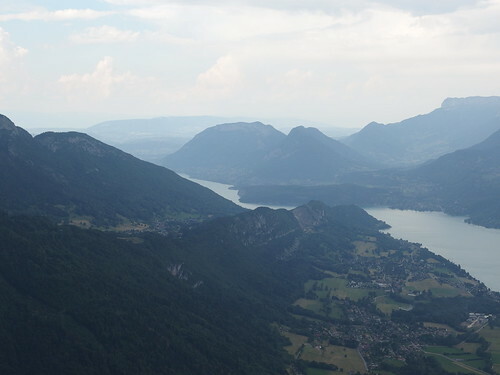 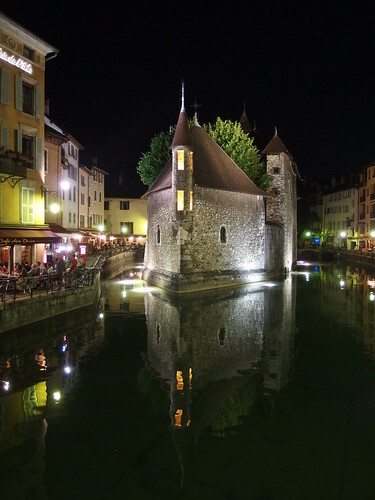 Above, Palais de l’Ile, back in Annecy.